Exclusive Destination for Conscious Music Lovers! Do you have a calendar date penned in a year in advance, every year? A really special occasion, that comes around only once a year, that you cannot miss? The celebration of the year? How about Summer Solstice? 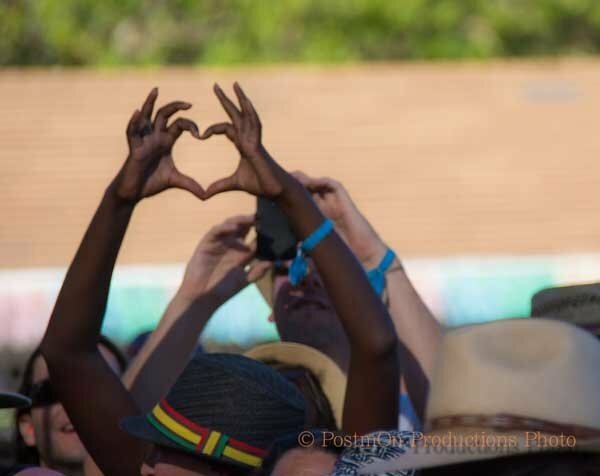 I know exactly where to go to fill that longest day of the year with the world’s finest reggae and international music, and to be in the midst of friends and the extended roots and culture family: a little slice of heaven that touches down in Boonville, CA every June. 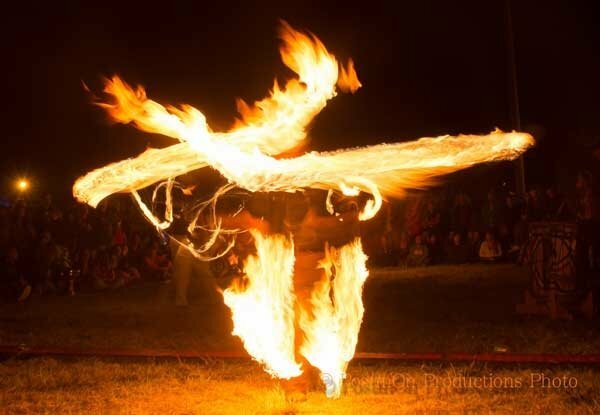 It is the annual Peace and Summer Solstice celebration that is Sierra Nevada World Music Festival. Nestled within the rolling hills of California’s Wine Country, Anderson Valley offers the idyllic easily navigable Mendocino County Fairgrounds. Lots of shade, flat ground, and usually perfect temperatures (mid-to-upper 80s, F.) through the first official weekend of summer. With its roots in the Sierra Foothills, SNWMF began in Marysville, CA back in 1993, and has moved progressively westward, changing venues (later to Angel’s Camp, CA), while keeping “Sierra Nevada” in the name. By the time the festival started moving, the brand was set, people from all over the world knowing what they would find here: nothing short of the finest lineup in cultural conscious music. Part of SNWMF’s signature feel and attraction is the welcoming convergence of friends and family, combined with the consistently unparalleled lineup. 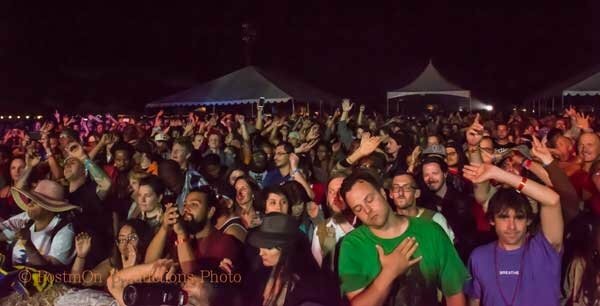 SNWMF draws deeply from the well of greats to present legendary artists (who are often brought to the U.S. for exclusive SNWMF-only performances); the broadest scope of reggae and world sounds; as well as an array of the most vital up-and-coming groups from around the globe. For many, if there is only one summer festival to be had, this is the one. Max Romeo. "The barber man nah like the dreadlocks man..."
2015 will surely go into the books as yet another epic year for SNWMF. Arguably the biggest coup for the festival this year was hosting Max Romeo’s U.S. return after a nearly 25-year absence. This had to have been a big victory for promoter Warren Smith, who booked Romeo on the bill last year, only to have visa problems prohibit Romeo’s 2014 entrance to the States. Max Romeo had the Saturday evening Sierra crowd captivated, as he rolled out favorites like “One Step Forward,” a sublime “Chase The Devil,” and the huge “War Inna Babylon.” One of the most-recorded rhythm sections of all time, Soul Syndicate brought the true Old-School credential to the musical backing of singer Romeo, roots toaster Big Youth and “Mr. Rocksteady” Ken Boothe. Featuring players like Fully Fullwood on bass, drummer Santa Davis, guitarist Tony Chin, and Keith Sterling on the keys, few bands can match the sounds from Soul Syndicate! And who can match the bona fide superstar presence of musical legend Jimmy Cliff? If you had not seen Cliff over the past few years, you would never guess that reggae’s first superstar, at nearly 70 years old, would still possess the brightness and energy he had on stage 25 years ago! From “You Can Get It If You Really Want,” to his updated “Vietnam,” to “Wonderful World, Beautiful People,” Cliff had the crowd jumping and singing along, bringing Boonville to the happiest of roots reggae feel-good heights. Never shy of packing a heavyweight punch, SNWMF warmed up Jimmy Cliff’s stage with none other than The Reggae Ambassadors, Third World. With A.J. Brown humbly and powerfully filling Bunny Rugs’ lead role, it is clear that Third World is poised to keep spreading the love to roots audiences for seasons to come. Cat Coore’s solo instrumental cello rendition of Bach’s “Cello Suite in D” into Bob Marley’s “Redemption Song” was delivered with such heart and soul, that he had the audience singing along to the cello on the Marley classic. The previous day, David “Cirious” Elecirri was singing along—actually singing lead—on most of David Hinds’ (Steel Pulse lead vocalist, who was throat-stricken that night) parts. Hinds’ son Baruch, and of course Selwyn Brown also shared vocal duties, with the Steel Pulse band sounding as tight as ever. While Hinds’ signature vocals were definitely missed, the solid performance from Pulse is a testament to the strength and the cohesion of this band, as they celebrate 40 years of making music together. And with a mid-set invocation to remember the lives of the slain Charleston, SC churchgoers, Steel Pulse continues to heed and lead the call to rock against racism. Take a walk through the fairground village to the Village Stage for a chance to see more of the legends in a shaded intimate setting. Lighting up the stage there on Sierra’s opening night: King Yellowman. Yellowman played in top form, never stopping moving, king-stepping his way through every song, continually jogging from stage left to stage right and back again; and taking time to slap and shake hands with the admiring and loving crowd. Yellowman’s set started and ended with songs from his daughter K’reema, a perfect complement for the Father’s Day Weekend. 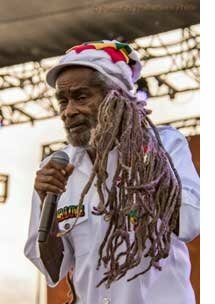 For decades, SNWMF has been bringing in not only the legends of reggae, but some of the originators of the form. Ska, rocksteady and reggae’s singers and original deejays, the likes of late great Alton Ellis, The Ethiopians, Brigadier Jerry, Derrick Morgan, Carlton and the Shoes, Michigan and Smiley, Ras Michael, Johnny Clarke, Josey Wales, Junior Byles, L.K.J., and the list goes on…This year the tradition continued with Admiral Tibet, B.B. Seaton, Monty Morris and Keith and Tex. In each case, these are names that one is lucky to see and hear live, artists who are often brought in for exclusive showcases at Sierra, with few if any other dates in the region. Singers like B.B. Seaton (who answered the calls for “Over the Rainbow’s End” and “Joy in the Morning” to the crowd’s joy) and Monty Morris (striding through “Sammy Dead Oh”) deliver their goods with only the love, grace and confidence that 50 years of honing and living can bring to natural light. Summer highlight moments? Basking in the glow of the luminaries, the real roots of reggae’s family tree! Catch the legends while you can, and catch you can at Sierra. The redwood-cloistered Village Stage was also the scene for this year’s welcome deep dive into the Reggae Revival. 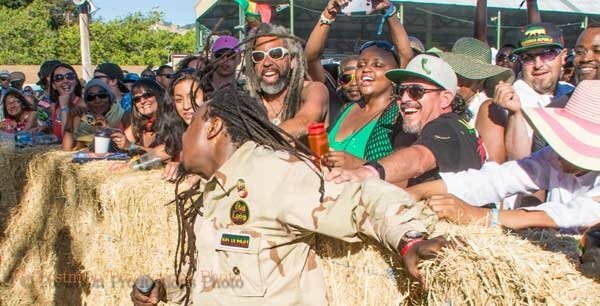 Jamaica’s new wave of Jah-guided crucial roots reggae finds a natural home on California’s shores, and amongst the conscious-music lovers found in abundance at SNWMF. The dread, soul and vitality breathing through Pentateuch’s (playing their U.S. debut here) “Armageddon Time” and “Black Face” somehow reminded me of Lucky Dube, not only in vocal tone and sound, but in the imploring heartical conviction of the message too. The amazingly dapperly dressed No-Maddz (another U.S. debut) take the Reggae Revival to new funky heights with their new-school infectious dub poetry: a sound that’s gratefully hard to fully categorize, just check the album Sly & Robbie Present No-Maddz. No-Maddz also performed an off-the-hook rendition of their mostly acapella sung and beatboxed “A Wha Dis” in the dancehall, backed by Jah Warrior Shelter Hi-Fi. The UnconqueRebel Lioness herself, Hempress Sativa, was also a crowd favorite, and like all of the Revivalists, delivered one of the stand-out sets of the weekend. Appearing back in the open sunny bowl setting of the Valley Stage was Jesse Royal, handily demonstrating that vital and ital roots reggae is alive and well, with his flowing “Greedy Babylon” and dread big tune “Modern Day Judas.” Jesse also joined Natalli Rize (of Blue King Brown Band) and Reggae Revival producers and band Notis, as they sang tunes mashing down babylon. With the wave of talent from Jamaica, SNWMF presented a view both into the vital present and into the bright future of roots and culture music. 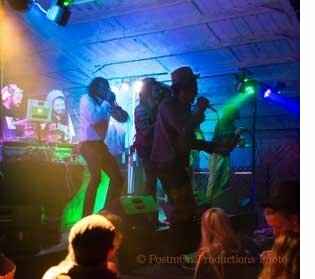 Also keeping the flow of conscious roots ever present at SNWMF was Meta and the Cornerstones. The Cornerstones have roots in Africa, the Caribbean, the Middle East and Asia, combining to create a heavy-hitting sound, exemplifying the strength that music has to cross all borders. Taj Weekes made his return to Sierra, this time gracing the Valley Stage with his powerful imploring tone and driving poetic tunes on life and love. The spiritual high point of the weekend may have been delivered by one of the all-time favorites Luciano. Jah Messenger is still teaching the youths about the roots and culture. From Bob Marley to Bob Dylan, “Redemption Song” to “Knockin’ On Heaven’s Door,” Luciano not only covered the greats, but also presented songs spanning across his own 20 year catalog, always uplifting hearts and minds. Two of the most anticipated bands both have at least one thing in common: they both sound almost like DJ soundsystems, but with live instruments. With the mashing of different beats and breaks, decidedly varied sonic layers, combined with wicked bass-heavy low-end, and endless energy on both counts, Thievery Corporation and Gentleman’s Dub Club (you guessed it: another U.S. premiere!) bring the sound of live performance to new levels. The pre-EDM genre-benders Thievery Corporation and London’s relative newcomers Gentleman’s Dub Club both achieve a heavily danceable sound through smooth blending of styles and band ensemble sound played with deft attention to space. Thievery’s eight musicians and seven singers always keep the stage moving, with a dub-heavy sound and signature subversive tunes like “Firing Shots” and “Richest Man In Babylon.” In the case of Gentleman’s Dub Club, the eight members on stage were continually in the air, jumping and dancing hard through their entire set. 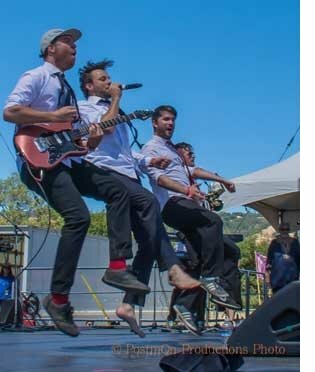 With their modern roots and updated two-tone ska feel, combining with house-like breakdowns and builds, The Dub Club whipped the Valley Stage crowd into a happy dancing party. 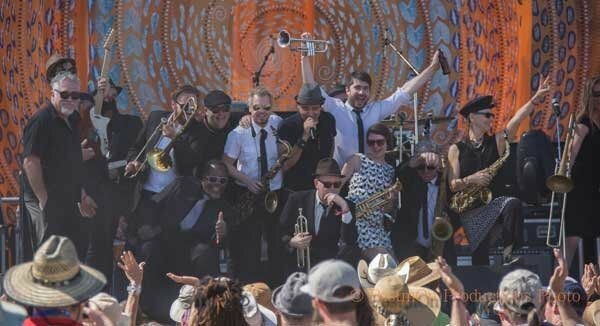 Even larger ensembles regaled SNWMF, with the big big sounds of Melbourne Ska Orchestra and the Brazilian Afro-Beat Bixiga 70. MSO had sixteen players (9 on horns) recreating the original Skatalite-era ska sounds with appropriate secret agent acuity. Bixiga 70 had nighttime Village Stage fans (everyone of us) shaking major bootie to the Afrobeat sounds moving on a psychedelic bed of cumbia, retro-funk, and Afro-Latin rhythms. Beyond the music, Sierra has lots to offer for kids of all ages. Face painting, arts and crafts, balloon twisting, dancing and drumming, storytelling, bounce-housing, the kids’ parade, and entertainment just for the youth are all on offer, with much of it happening in the special Kid’s Zone. Food options abound, with everything from West African plates to falafels that always hit the spot. From Jamaican patties to Indian samosas, the walk through the food village is always full of mouth-watering temptations. The appetizing avenue is actually the main thoroughfare connecting the Valley and the Village stages, so it’s also a place where you are almost guaranteed to run into people. To be surrounded by great food, friends and family, amazing music and relaxed and easy vibes, is to know a taste of the Utopia that springs up once a year in the summer for SNWMF! From the very center of the food fjord, you can duck into the dancehall, another one of the very special gems and jams that is part of the heartbeat of SNWMF. Sierra has been at the forefront of presenting the dancehall, the spot to rock to the riddims ‘till the early morning. Entering the dancehall is like getting off a plane on the island. Fifteen degrees warmer than it was outside, and double the humidity. Thick smoke and bass fill the hall, surrounding the people skankin’ and rocking everywhere. For years, SNWMF has been giving us the true soundsystem experience (something you just don’t find everywhere! ), delivered by the world’s top-ranking DJs: Stone Love, David Rodigan, Jah Shaka, The Mighty Crown, Downbeat the Ruler, Mad Professor, Jah Warrior Shelter Hi-Fi. Special guests on the mic have included Brigadier Jerry, U-Roy, Yellowman. This year was back in full-force with Stone Love’s Rory running dub plates galore, and Scotland’s Mungo’s Hi-Fi bringing Solo Banton (and one other great Barcelona-based deejay, whose name I missed) on the mic. Mungo’s brought a full night of their own originally produced modern rub-a-dub. What a scene—all of us gathered earlier under the sunshine, now gathered in the dark of the dancehall for pure world-class sound system sessions—one of the ultimate hangs of the summer, and of the whole year! All of these special moments make up the festival that so many of us return to year after year. The village that is Sierra springs to life for one brimming weekend that always seems to pass so quickly. The unity and Utopia that we create in Boonville every Summer Solstice weekend is a part of what we can take with us into the world, brightening the corners of our own neighborhoods. We can surely break down Babylon walls with the conscious sounds arrayed at SNWMF. For the days, weeks, months and years that follow Sierra, I will be listening to those conscious sounds either discovered or re-discovered there. Most of all, I’ll be cherishing the new memories made with friends gathered from near and far; cherishing the time spent amongst the many families of all nations, who gathered every year in peace and unity, celebrate music and celebrate life. Full Gallery of Anthony Postman’s 2015 SNWMF photos. Anthony Postman 2013 interview with SNWMF founder and promoter, Warren Smith.